MT. 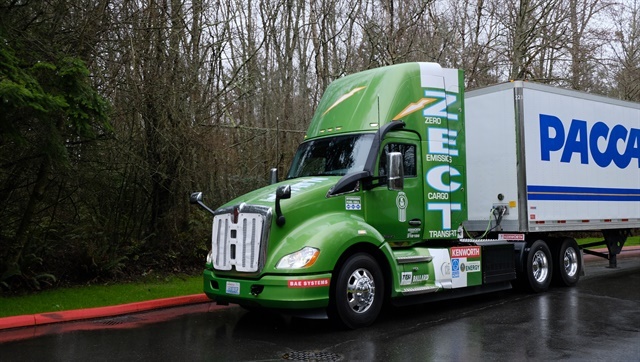 VERNON, WASH. – Kenworth has removed the black shroud from its latest green initiative, the Zero Emissions Cargo Transport (ZECT). 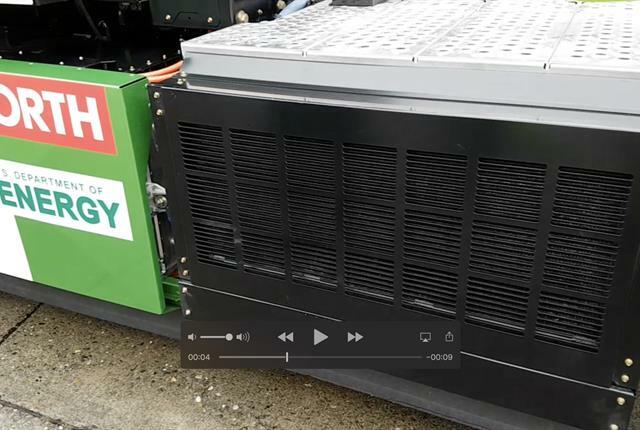 The heavy-duty truck is a hydrogen fuel cell powered battery-electric vehicle, capable at this point of about 100 miles of travel fully loaded. Kenworth plans to increase that in the future with the addition of greater hydrogen storage capacity. The truck produces no emissions other than a small column of steam when the hydrogen fuel cell stack is charging the batteries. It makes no noise other than the cooling fans and the air compressor. It's truly a vehicle that will fit comfortably into any urban environment, especially those areas where air quality is a concern. This truck will be deployed at a Los Angeles-based port drayage company, Total Transportation Services Inc. (TTSI) at the end of March, working at the ports of Los Angeles and Long Beach. The truck was first shown at the Consumer Electronics Show in Las Vegas in January. It has been in the works for just a few months and was actually run for the first time in December. 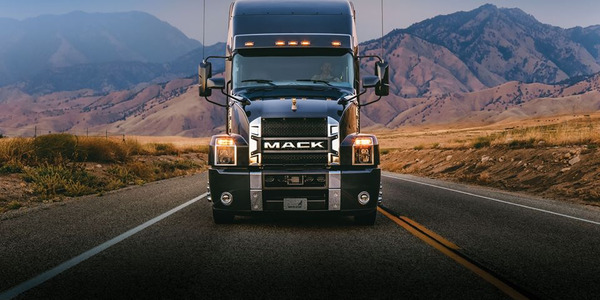 Kenworth took the unusual step of inviting the trade media to see and drive the truck even though it is very much in the prototype stage. 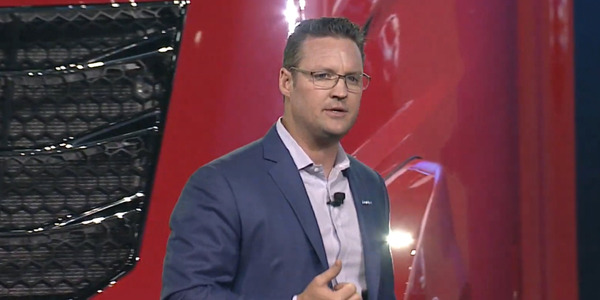 There were a few hiccups during the day's ride and drives, but as Kenworth's research and development manager, Brian Lindgren, reminded reporters, it's a prototype; it's still really early in the development process. "We have another four to six weeks of testing planned here at the Technical Center before we take it to Los Angeles," Lindgren said. "By then we fully expect it will be ready to haul loads in the real world." Funding for the development of the truck comes through the Department of Energy's office of Energy Efficiency and Renewable Energy, under the funding plan for zero-emissions cargo transport initiative, as well as the South Coast Air Quality Management District and the California Air Commission. The Center for Transportation and the Environment brought together Kenworth and the major system suppliers to complete the project. 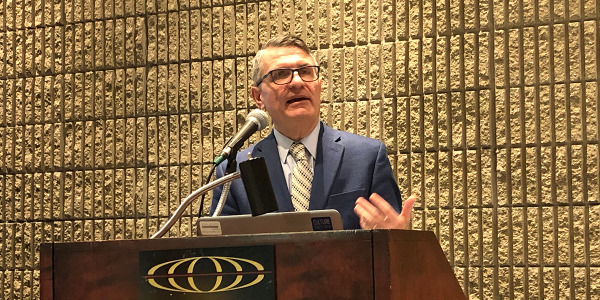 The major powertrain partners are BAE Systems (a hybrid transit bus manufacturer), and Ballard Power Systems, which developed the proton exchange membrane (PEM) hydrogen fuel cell system. The powertrain on this truck is scaled for short-haul service, working at a drayage facility where it will run 30-50 miles per day. Consequently, it has a fairly small hydrogen storage capacity and batteries that can comfortably deliver speeds in the 30-50 mph range. It will go much faster, according to Lindgren, but it's limited to some degree for the testing phase. "Our motors are rated at 420 kW or about 565 hp at a constant rate, but they will peak considerably higher," he said. "We are limiting the output to about 300 kW until we prove out the systems." 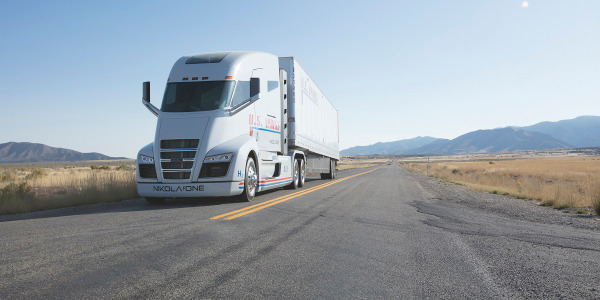 The fuel cell system has a net output of 85 kW, but to run an 80,000-lb truck at 65 mph takes about 125 kW, so the truck isn't setup for the highway. But that doesn't mean it lacks performance. There's enough power to maintain 30 mph on a 6% grade and to start on 20% grade with 80,000 lb. Current range is about 30-50 miles. 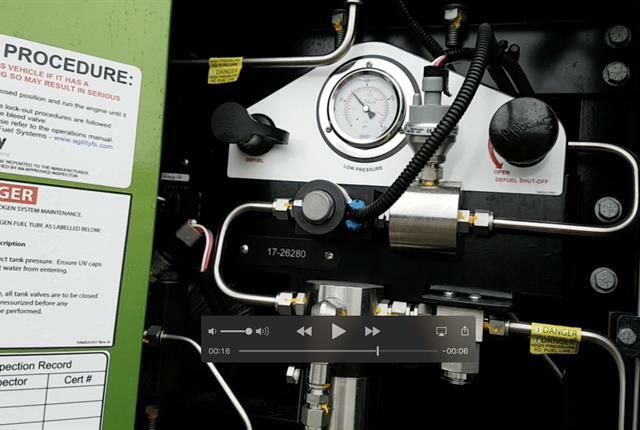 The system is powered by six compressed hydrogen storage tanks, each containing about 5 kilograms (12 lb) of hydrogen gas compressed to about 5,000 psi. Lindgren said one kilogram of hydrogen contains about the same energy as one gallon of diesel fuel. The range of the truck is limited by the hydrogen capacity. It has 100 kWh of capacity with about 80-90 kWh usable. 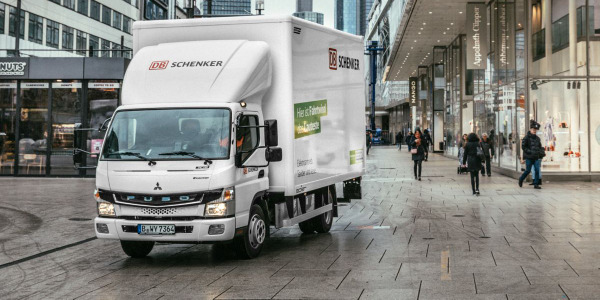 It takes about 2 kWh per mile to move the truck down the road, and 70% of the battery's capacity would run the truck about 35 miles. The present battery pack weighs about 5,000 lb. The system works by using the stored hydrogen to produce electricity to charge the battery pack. While there is some regenerative braking capability, the hydrogen fuel cell will come on and produce voltage to charge the batteries when the voltage drops below a certain level. It does not run all the time. When the hydrogen is depleted, the truck is no longer capable of generating electricity. 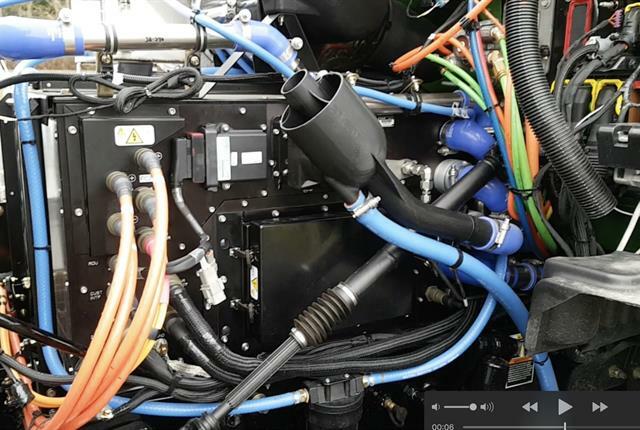 It can also be cable charged, but that's not as efficient as the fuel cell, Lindgren noted. The name of the game with this truck is zero-emissions. A natural-gas-boosted battery-electric system would get you near-zero, but that's not the goal. 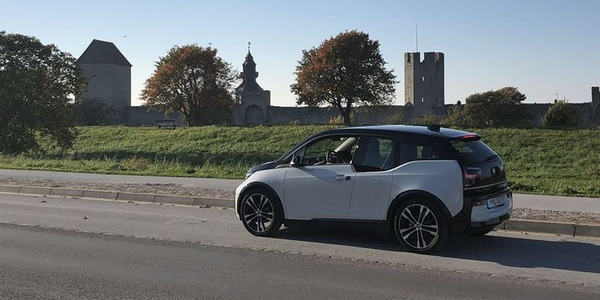 "The only way to get to zero is with all-battery or with hydrogen fuel cells," Lindgren explained. 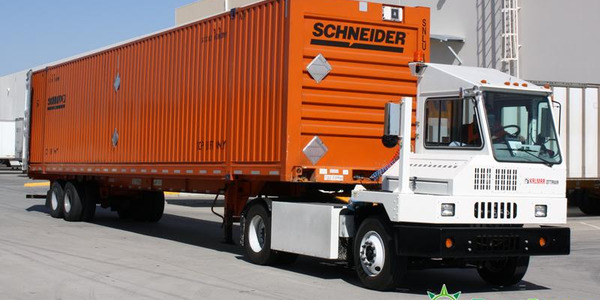 "We think for heavy trucks, battery electric has some challenges. The batteries are heavy and expensive, they have to be recharged and that takes time. 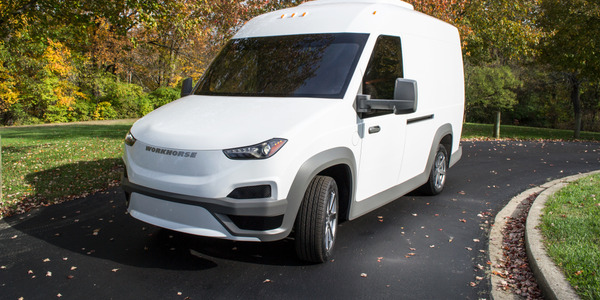 This truck represents a good compromise between battery capacity and weight (5,000 lb), charging time (none, it charges on the go), and the cost of the system. On every front, this truck meets all the industry criteria for a viable truck in this application." We had a chance for a short drive on the truck, both on the test track at the Technical Center and out on the public roadways around the center. It's totally quiet except for the cooling fans, the compressors and the various pumps on board, as well as a soft whine from the gear train. The torque at launch is something to behold, and I suspect engineers will have to find some way to limit that lest the driver peel the treads off their tires. The torque at launch is something to behold, and I suspect engineers will have to find some way to limit that lest the driver peel the treads off their tires. The truck was loaded to 79,980 lb, and at launch it felt as though it was a quarter of that weight. You have absolutely no sense of the weight of the load when you have that much torque under foot. So, other than the immense torque and the total lack of engine noise, there was no fundamental difference between this truck and one equipped with a 500-hp diesel. The transmission was a modified Eaton 18-speed automated manual transmission. It used just the high/low splitter and the range splitters from the back of the 18-speed. Other than that, the gear box was empty; modified actually, to mount to the motor and the standard prop shaft we see on any transmission. The rear drive axles are Spicer D40-170P with 5.38:1 gears. Yes, 5.38:1. At 30 mph in "3rd" gear, the motor is turning at about 3,500 rpm. "We're not sure about the transmission yet," Lindgren said. "We are thinking three gears will give us the flexibility we need to optimize the efficiency and performance of the motor, and thus power usage. We are using four gears now, but three is probably what we need -- with different ratios Third gear only gets us to about 50 mph at 4,000 rpm, which is the maximum input speed for the transmission." 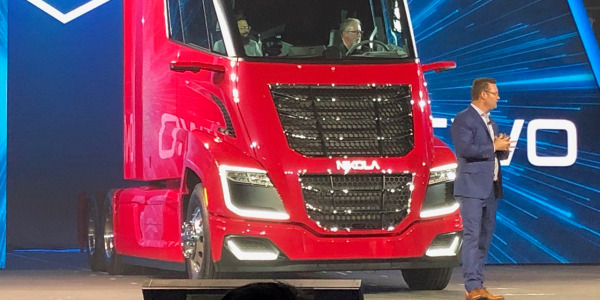 When this truck launches officially in March, it will put a lot of the naysayers back on their heels and put a great big grim on some drivers' faces. They won't be expecting performance like this from an electric truck.